« Spring Has Arrived! Isn’t It Time For You To Get Your Western Novel Selling? 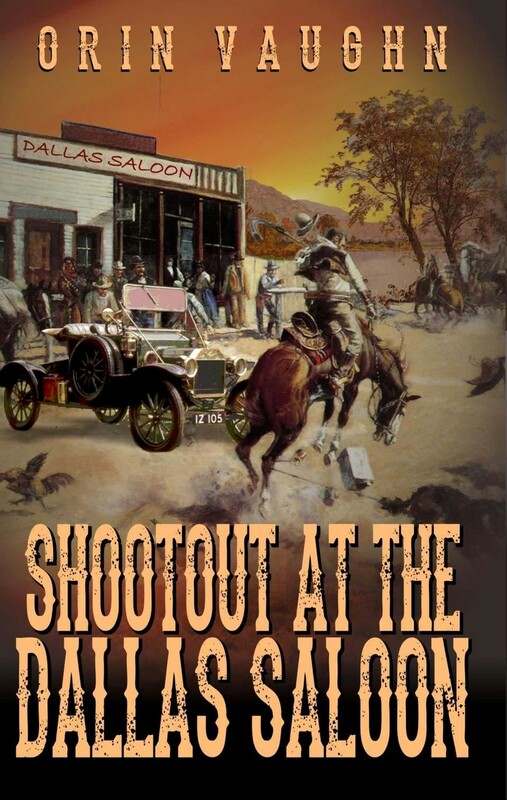 A Classic Western: Shootout At The Dallas Saloon: The First Western In A Series From Orin Vaughn! It was 1912 and Koss (William Kenneth Koss), lost his father to a misfortune at the mine. At 15 years old, young Koss was thrown into the necessity of leaving school and going to work at that same mine in Dallas, Arizona, to support his family. Thus, carousing with the rest of the miners, he finds himself a regular patron at the wild and dangerous, Dallas Saloon. There he learns to drink, gamble, fight, and shoot. And, he even gains the attention and respect of the beautiful, local sporting woman, Emma Phalen; who scandalously cheats and disrespects her loving husband. All this under the tutoring and mentorship of an old Confederate Civil War Veteran and Saloon owner named Sarge, and his best friend, a rough and tumble, ex bareknuckle fighter, called Champ Wakeland, who once fought John L. Sullivan. CC Hagerman, was a vicious and vile man, and he was going to get his revenge no matter what. There were no limits to what, evil wickedness him and his cronies would go to, to bring an end to Koss and his friend. One fearsome, stormy night at the Dallas Saloon it all came to a reckoning. So, follow, young Koss, Champ and Sarge as they experience the unbridled events that finally led to, The Shootout at the Dallas Saloon. Pre-order your copy today by clicking here.